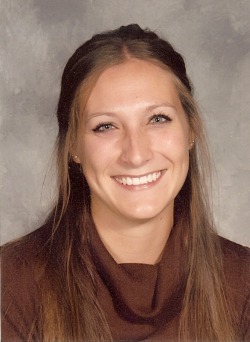 My name is Mrs. Wells and I have been teaching in Mason for 6 years. I have enjoyed every year and I look forward to this being a great year, too. Outside of teaching, there are many things that I enjoy doing. One of my favorite activities to do is read! These are some of my favorite books: Oh, The Places You'll Go by Dr. Seuss, anything by Beverly Cleary, My Sister's Keeper by Jodi Picoult, and many others. I also enjoy running. I've run in a few 5K road races a 10K, 25K, and a few 1/2 marathons and am usually always looking forward to another run! I could go on and on, but I also like to bake, golf, camp, spend time with my family and friends. Recently, my husband and I have had a baby girl. Macey will be 1 in November, and she has been an amazing addition to our lives.